Toenjes, Beck, Reimer, and Mott “Dancing with Mobile Devices: the LAIT Application System in Performance and Educational Settings” Journal of Dance Education, v16 n3 p81-89 2016. Proposal, Illinois Learning Sciences Design Initiative, 2015. Toenjes, John and Anthony M. Reimer. 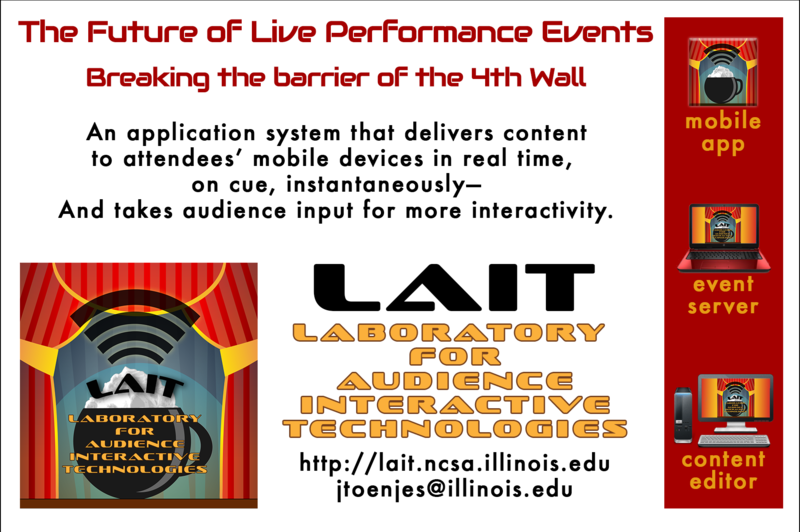 “LAIT – The Laboratory for Audience Interactive Technologies: Don’t ‘Turn it Off’ — ‘Turn it On!’” 21st International Symposium on Electronic Art, 2015.